Welcome to the 8-week Bodyweight Beginner Program! What follows is a comprehensive, easy-to-follow, 8-week workout program targeted just for beginners that will put you on the path to a leaner, healthier, confidence-boosting body. And the best part is, you’ve already got all the tools you need to get started. I’m so glad you’re here! My name is Todd Kuslikis, though you may know me as “Bodyweight Todd”. I am the creator of A Shot of Adrenaline. 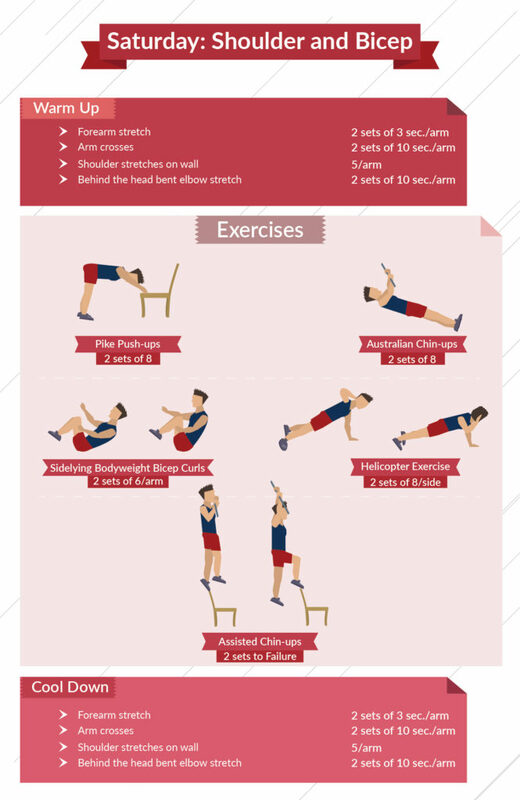 If you’re reading this, it means that you’ve taken what will hopefully be the first of many steps in your fitness journey, with our calisthenics workout for beginners. I’ve been involved with fitness for as long as I can remember. It’s been a huge part of my life and I’m honored to be able to pass along my years of studying and experience to you. Now, if you’ve taken a look around this site before, you know that we are 100% dedicated to the discipline of calisthenics. That means all of our exercises rely purely on body weight. That’s right, no gym memberships or heavy equipment required. 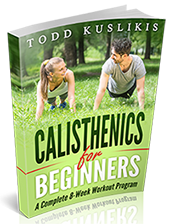 And that’s why I think you’re going to love this calisthenics workout program, which is designed to be your beginner’s guide to getting in shape. More on that in a minute. We all have our reasons why we want to get in shape. I’m sure some of you out there are recalling a time where you were in great shape, and you want to get back to that level of fitness. For some of us, fitness has seemingly eluded us since day one. That’s OK! No matter your what path you come from, you can decide the one you take from here. Basically, anyone can say “I want a better body with a toned physique,” or “I want to lose this fat.” But unless you know how you’ll go about making that desire a reality, it’s got no stock. You need more than that. You need a plan. So what’s the best workout plan for you? 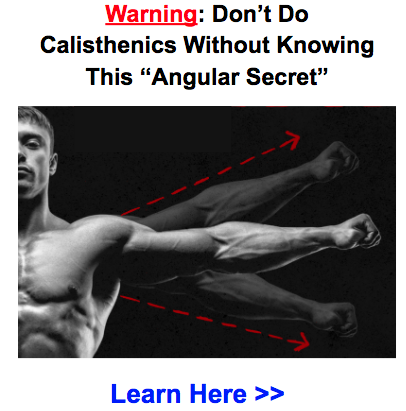 It would be pretty arrogant to suggest Calisthenics for Beginners is going to work perfectly for everyone. Don’t worry, my ego isn’t that big! The fact is, there are more workout plans out there than any of us could count. Hey, even we have a number of workout plans for you to choose from already. So why make another one? 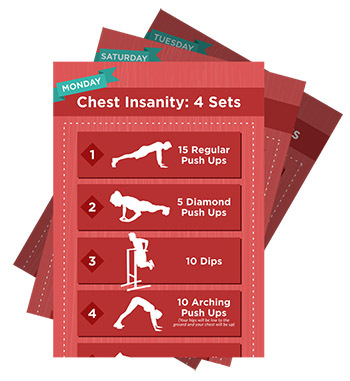 Well, if you take a look at those other plans we’ve created at A Shot of Adrenaline, you’ll see that we’ve never created a workout routine developed with beginner calisthenics exercises. That’s the void I want to fill with this program. I don’t want there to be any intimidation or trepidation on your part. If it’s been twenty years since you’ve been in shape — or if you’ve never exercised a day in your life — this can be your starting point. And in true Shot of Adrenaline fashion, I’ve put together a program with our unique brand of calisthenics training. Bodyweight training is not only my passion, but the passion of the entire team here at A Shot of Adrenaline. We don’t think fitness should be exclusionary. Some people are big fans of going to their local gym or fitness center to work out. It’s never really been my thing, to tell you the truth. But that’s one of the great things about calisthenics — no gym is required. 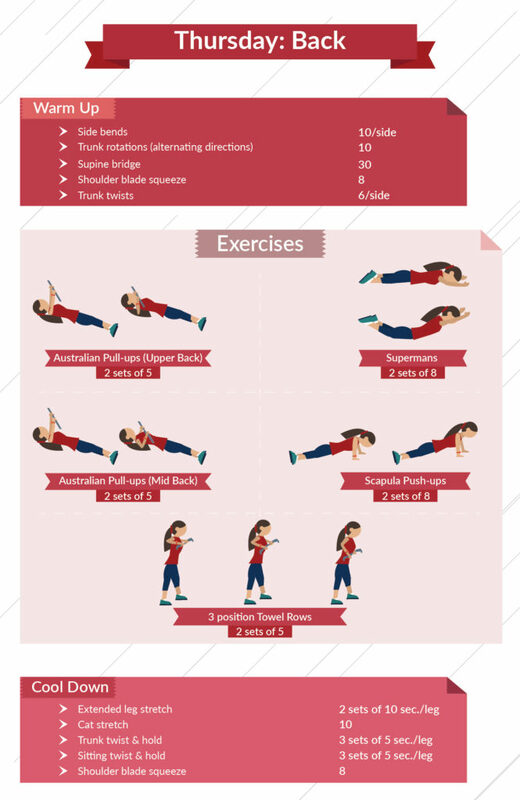 What we’re offering is a full calisthenics program that can be done in the comfort of your own home…or a park… or the beach… or anywhere! There’s no dumbbells, no clunky equipment — just your own body and determination. But of course, what matters is whether or not a program will work for you. And this program is going to get you results. 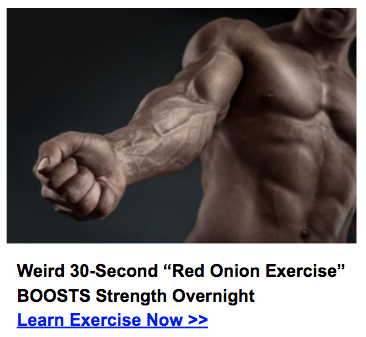 If you’re looking to get huge, bulging muscles like that of a bodybuilder, stop reading now. This program is not going to be for you. Now, that’s not to say our method can’t get you great results; rather, it’s a realistic approach to fitness that produces realistic results. That means with this program, you can build solid, lean muscle that is a part of a great physique. But again, if it’s your ambition to have arms so big your hands can’t touch their respective shoulders, you may want to look elsewhere. Now, I also understand that most people don’t think they have time to exercise. In fact, that’s the number one reason people don’t exercise, statistically speaking. The good news is, I’m not interested in taking up a big chunk of your schedule. Far from it, actually. I wanted to create a beginner program that people could easily fit into their schedule that wouldn’t take more than 30-40 minutes a day. That’s it! And remember, you don’t have to factor in time to get in your car, drive to the gym, find somewhere to park, and then wait for a particular piece of equipment to become available. You do this wherever you feel most comfortable. It can be hard to change people’s minds about certain things. And one of them, I’ve found, is preconceived notions about different fitness methods. A lot of people think the definition of fitness is the inflated bodybuilder look we’ve already discussed. That’s never been my fitness goal, and I think I’m a better athlete for it. But it can be really tough to convince people that bodyweight training is a viable option for getting in shape. They can be done anywhere. I know, I’ve already mentioned this, but it bears repeating. This is perfect for beginners that may be self-conscious about starting out. With bodyweight training, there’s no obligation to work out in a giant crowded building with strangers. It can just be you, an open space in your living room, and your pets (and you know they’d never judge you!). And when you’re traveling — either for work or for fun — calisthenics are a great way to avoid losing progress when you’re away from home. So you can vacation with confidence, knowing that you can take your workout routine along with you! It’s a big time saver. Before I really got into calisthenics, if you had asked me how long people need to spend in the gym to get in shape, I would have said an hour a day… at least. This idea is not only false, it’s counter-productive to the progression of fitness. People are busy enough, and if you tell them they have to set aside over an hour a day to get in shape, they’ll be discouraged before they even begin! So they don’t even give fitness a shot, and their health suffers. I’m here to show you that you can get a great workout in a fraction of the time by using time optimization workouts. That’s what I’m presenting you with today. No heavy equipment is required. Something else I’ve already talked about, but I thought I’d say it again, just in case there was anyone out there with their credit card in hand, ready to order the newest exercise gizmo being advertised on TV right now. Put the card down and step away slowly. You already have the tools you need to get in shape. Sure, calisthenics utilizes a few tools to optimize a workout or target a specific area, but you’d be surprised what you can use for an adequate calisthenics assistant! It builds solid, lean muscle. This is the one where people tend to tilt their heads and look at me funny. That’s alright, I’m used to it. The fact is, most people think if you wan’t to build solid muscle, you have to lift heavy weights. It’s simply not true, and I’m living proof of that. The great thing about calisthenics is it forces your body to act as a unit. Think about the sitting dumbbell curl exercise. The only muscle group being targeting is the bicep. Every other part of your body is just sitting there, wondering when they’re going to get a turn to exercise. With calisthenics, your body acts as a chain: one muscle group must utilize others in order to execute the exercise or maneuver, and as a result, you’re going to build solid, lean muscle much faster. It’s great for fat loss. 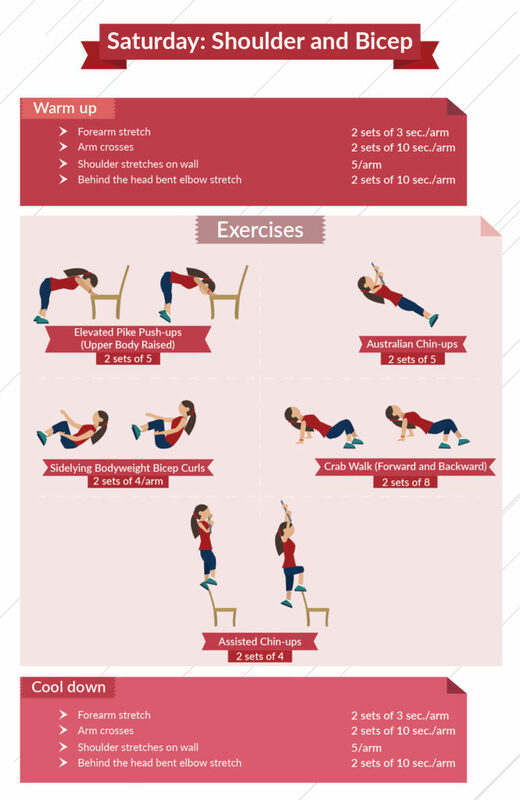 Calisthenics can be a great cardiovascular tool. Now, by that I don’t mean I’m going to send you jogging for ten miles a day. 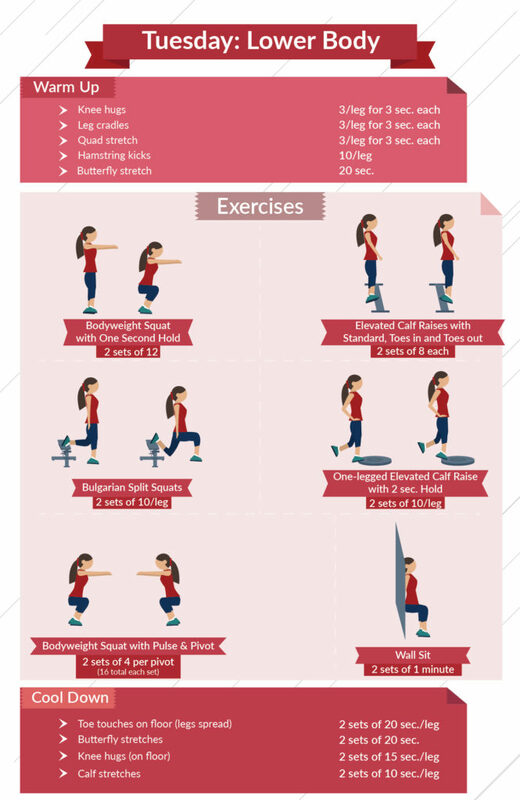 You can get an outstanding cardio workout without countess laps around your block. There are plenty of programs (including the one you’re about to see) that, if done correctly, can be a great method for fat loss. It improves mobility. 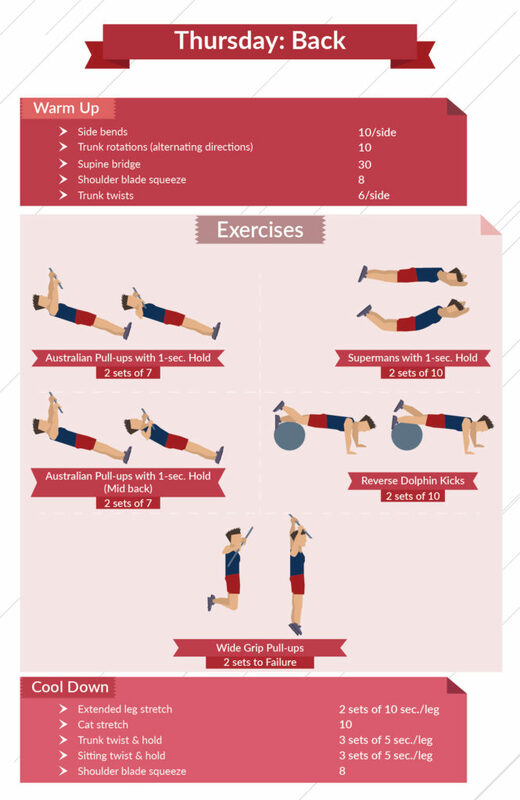 There are some complicated exercises in the world of bodyweight training! You’ll see that even with this beginner program. But learning them will dramatically improve your balance, flexibility and overall mobility. That’s because as your body relies on a number of different muscle groups to perform an exercise, you’re going to be training your body to act as a unit… without you even knowing it! This program is going to be ideal starting point for anyone looking to start their fitness journey. 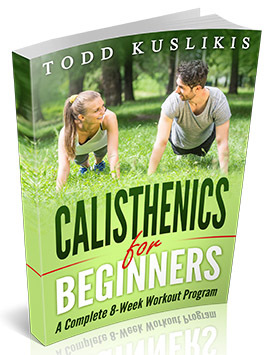 In eight short weeks, you’re going to learn some beginner calisthenics exercises, as well as some “hidden gems” that will build you into a calisthenics athlete and put you on the right track to success. The program itself will have three different “Levels” that get progressively tougher as you build your strength and endurance. All three levels hold five exercises a week, with two days to rest (Wednesday and Sunday). Level 1 (weeks 1 and 2) are a great place to start if you haven’t exercised in quite a while (or ever) and find yourself significantly out of shape. I think you’ll find the exercises both accessible and challenging. However, if you try a few workouts and think they’re too simple for you, feel free to jump to Level 2! Level 2 is where weeks 3-5 are outlined, which are more difficult than the workouts in Level 1 (like I said, each level will get a little more difficult). Finally, Level 3 (weeks 6-8) are even tougher than the exercises in Level 2, though still realistic for a beginner to attain. 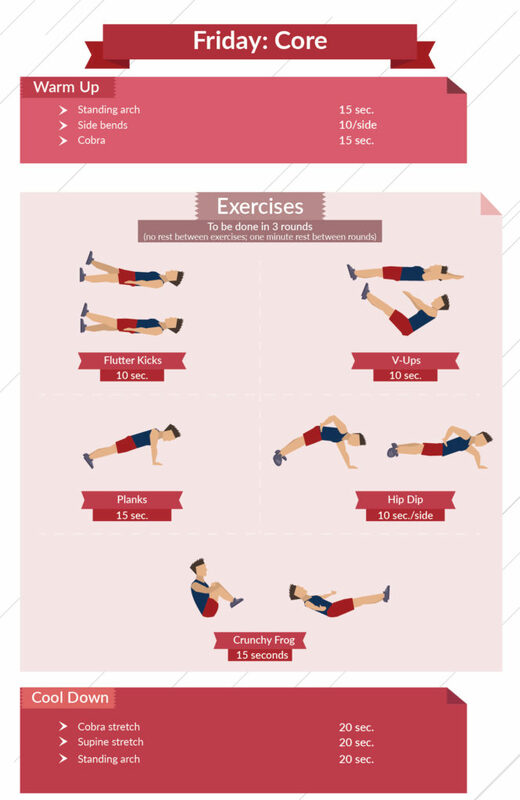 And you’re not only getting the list of bodyweight workouts. 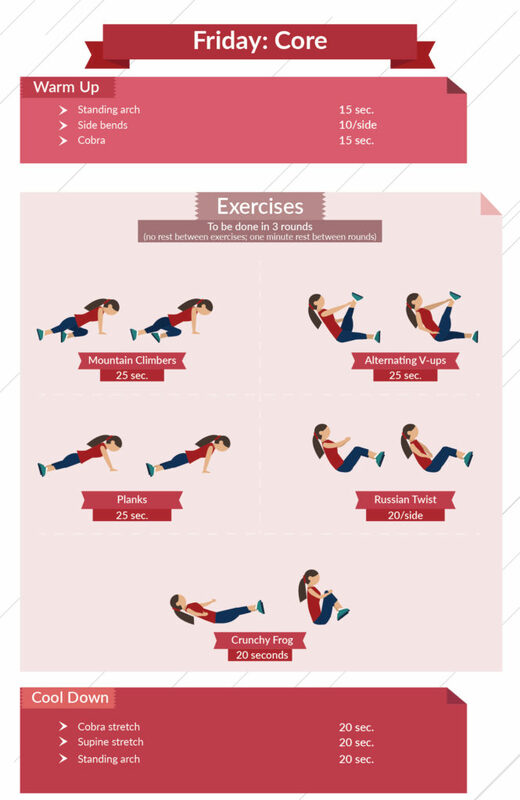 Each day’s exercises will have warm-up and cool-down exercises and stretches. These will help you get nice and loose before the day’s workout, and make sure you’re adequately stretched afterward to reduce tightness and soreness. So you’re looking at a full-cycle workout every single day! You’re in good hands with this program! It’s important to use caution with every new physical regimen. If you’ve got a physical condition, injury or any other health issue, please check with your physician to make sure you’re capable of performing the exercises in this program. Remember to keep a bottle of water handy to stay hydrated and healthy. And while I’m on the subject, I think it’s really important to mention how critical overall nutrition is to your fitness journey. Some beginners think all they need to do is exercise to get the results they want. As much as we’d like that to be the case, it simply is not. Proper diet and exercise go hand-in-hand. With exercise, it’s important to push yourself in order to continuously improve. But it’s also critical that you listen to your body. If you feel dizzy, nauseous, or feel pain in a part of your body separate from typical soreness of muscles. Lastly, don’t give up on yourself. Fitness does not happen overnight. Believe me, if I had any magic fitness beans, I’d sell them to you. You may not see progress in the first few days, but I’ll bet you’ll still feel better, and that can make all the difference. Then the physical changes begin to show up, and you feel even better, and the cycle continues. Fitness is not a destination; it’s a journey. You don’t wake up one day and exclaim, “Alright, I’m now fit! I’m done!” Each day you have to accept the challenge of being better than you were the day before, and you must be constantly pushing yourself past whatever limits you think may be there. You’re capable of much more than you think, and I want to prove that to you. So let’s get started! Door frame stretches — 30 sec. Butterfly stretch — 20 sec. Butterfly stretches — 2 sets of 20 sec. Standing arch — 15 sec. Cobra stretch — 20 sec. Supine stretch — 20 sec. Standing arch — 20 sec. Crab walk (forward and backward) — 2 sets 20 sec. Butterfly stretch — 2 sets of 20 sec. 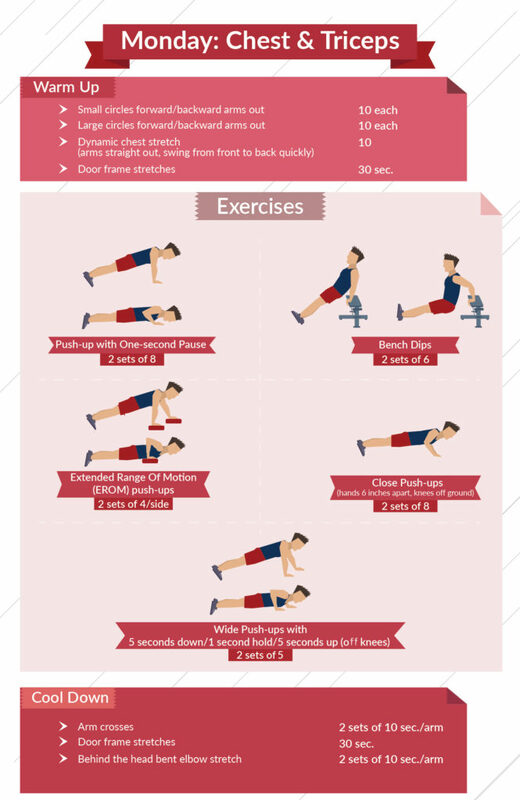 To be done in 3 rounds (no rest between exercises; one minute rest between rounds). Crab walk — 2 sets of 30 sec. 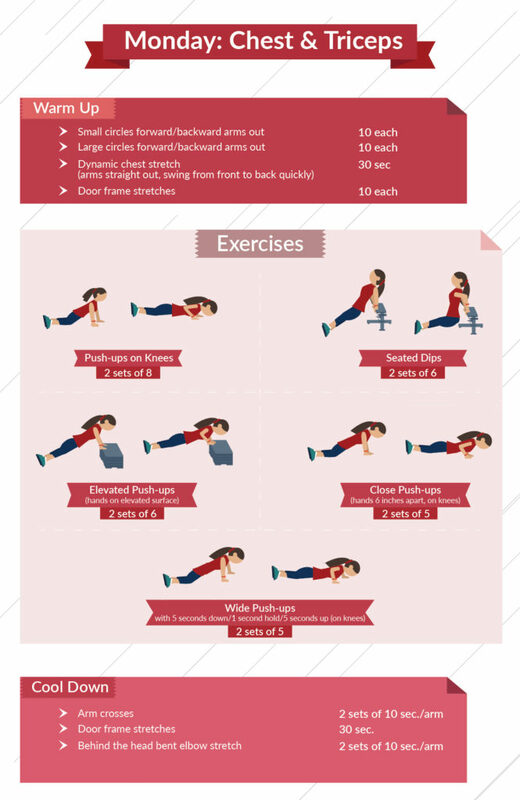 I hope you’ll find the Bodyweight Beginner program to be informative and beneficial for getting you started. 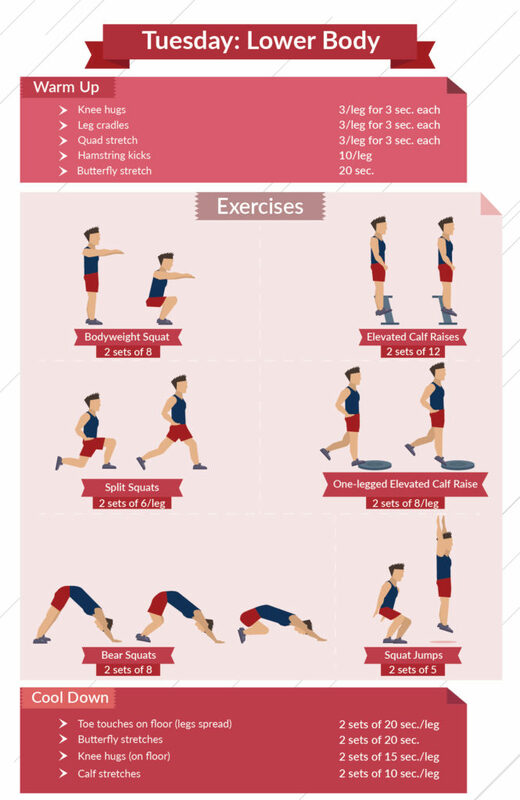 These are exercises you’ll be able to use as long as you practice calisthenics. Think of it as your “starter kit” for fitness! Remember, the only one you’re competing against is the person you were the day before, so it’s important to push yourself. It’s what we do when we’re tired that makes us stronger. And if a particular exercise is too easy, there are always ways to make it more difficult. If you need some ideas, just let me know! Now, on those off-days where you don’t have any workouts, it’s important to get adequate rest, and don’t be afraid to get some extra stretches in! I know you’re sore, but a few minutes a day could make a big difference in how loose you feel during the next workout. Like I said, keep your water handy and stay hydrated — not just during your workout, but throughout the day! And speaking to that point, I want to quickly remind everyone that, just as important as it is to exercise for your health, it’s equally essential that you practice proper nutrition. I actually have a new e-book, called the Metabolic Eating & Lifestyle Gameplan, which you can check out right here! It’s a great resource for nutritional tips and tricks on how to make your whole environment more conducive to better health. Finally, remember that you work doesn’t end when you complete this program; in fact, it should just be beginning. Fitness is a journey, and I hope you’ll continue yours as you see more and more results. We’ve got a great 30-day program, which we call the Beastmode Workout Program, which is a great program to use after this one. And yes, just like this one, it’s completely free! You can check it out here. If you’ve got any other questions, either a member of my team or I will be happy to answer them! Just shoot an email to Todd@AShotOfAdrenaline.net and we’ll get back to you as soon as we can.